Students who study aviation do not always become pilots. In fact, there are many careers in aviation that an international student might pursue through with a degree in aviation. 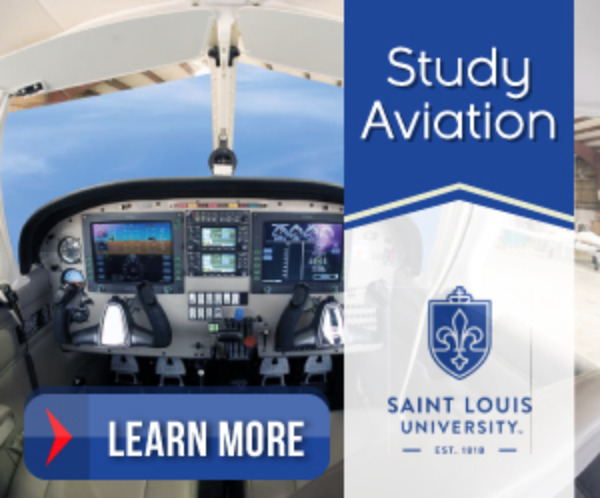 Colleges, universities and schools all over the US offer many different degree programs that help international students prepare for careers in aviation as a mechanic, air traffic controller, flight attendant, and more. So what are the basics of these careers in aviation? When people think of aviation, they generally think of pilots. A pilot usually specializes in the type of aircraft they fly, for example: airplanes, gyroplanes, helicopters, gliders, balloons, or airships. In order to become a pilot, you can attend a flight school and get the necessary certificate and license. A degree program at a college or university in flight management or other similar degree programs also allow international students to become a pilot. However, a pilot must be able to pass a strict medical exam. Pilots do a variety of work from flying large commercial airbuses to crop dusting or banner pulling, as well as private tours and air taxis. Becoming a mechanic is another popular choice for careers in aviation. According to the US Bureau of Labor Statistics, aircraft and avionics equipment mechanics and service technicians "inspect aircraft engines, landing gear, instruments, pressurized sections, accessories—brakes, valves, pumps, and air-conditioning systems, for example—and other parts of the aircraft, and do the necessary maintenance and replacement of parts. They also keep records related to the maintenance performed on the aircraft." There are about 170 Federal Aviation Administration certified schools that teach international students how to be aircraft mechanics. Mechanics are exposed to weather elements, sometimes working outside on the airfield. They are also exposed to loud noises and greasy conditions in air hangers and repair stations. Mechanics must be able to lift around 70 pounds, as aircraft parts can be heavy. Planes could not fly safely without the help of air traffic controllers. Air traffic controllers must be a good multi-tasker, detail oriented and alert at all times. They help aircraft land and take off by clearing the airspace around them and making sure planes are not too close to one another. There are several different types of controllers, including the tower local controllers, the terminal radar controller, the tower flight data controller, the ground controller, the clearance delivery controller, the en route controller, and the radar associate controller. "The vast majority of air traffic controllers are employed by the Federal Aviation Administration," according to the US Bureau of Labor Statistics. Flight attendants, along with pilots, are the face of airlines. They are the celebrities of the aviation world. Flight attendants represent the airline and are primarily responsible for the passengers' safety in the case of an emergency. They inform passengers of the safety procedures before take off as well as assisting passengers with exiting the plane in the case of an emergency. Secondary responsibilities include making sure the passengers are comfortable and are having a pleasant flying experience. They serve drinks and snacks, distribute pillows and blankets, and inform passengers on in-flight entertainment. In some cases, you may only need a high school diploma to be a flight attendant, but recently, more airlines are requiring flight attendants to have a college degree. Helpful degrees include any type of degree in aviation as well as degrees in hospitality. Learn more about studying aviation in the USA by reading our growing article collection. « Study Guide by Subject	« Study Aviation in the U.S.
Over time we will be updating this section and including more information for those who want to study aviation in the USA and for other countries, but please feel free to post your thoughts and comments on our Facebook fan page, and also follow us and post questions through Twitter. Is an Aviation Degree Right for You? Visit the Study in the USA School search to find schools that offer programs of study in Aviation.